Science Minister Akunis responds to lethal Brussels assault, says many in Europe 'mocked those who warned' about Islamic terror. An Israeli minister on Tuesday argued that Europeans had ignored the danger of Islamic terror cells and focused on criticizing Israel instead, in a statement in response to the Brussels attacks. 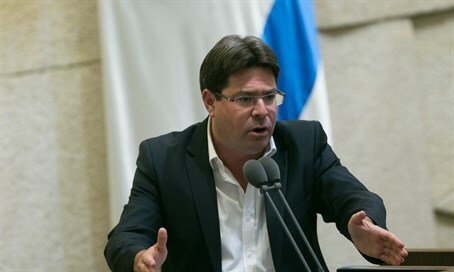 While offering condolences over the deadly bombings, Science, Technology and Space Minister Ofir Akunis (Likud) hit out at Europe over its discriminatory labeling of Jewish products from Judea, Samaria and the Golan Heights. "I will repeat: many in Europe have preferred to occupy themselves with the folly of condemning Israel, labeling products, and boycotts," Akunis said on his Facebook page. "In this time, underneath the nose of the continent's citizens, thousands of extremist Islamic terror cells have grown. There were those who repressed and mocked whoever tried to give warning. There were those who underestimated." "To our sorrow, the reality has struck the lives of dozens of innocent people, powerfully and fatally," he said. Tuesday's bombings of Brussels airport and a metro train murdered around 31 people, officials said, citing initial figures, with some tallies placing the death toll higher at around 34. The terrorists shouted in Arabic while conducting their lethal assaults.